Too much luggage, too many children ... 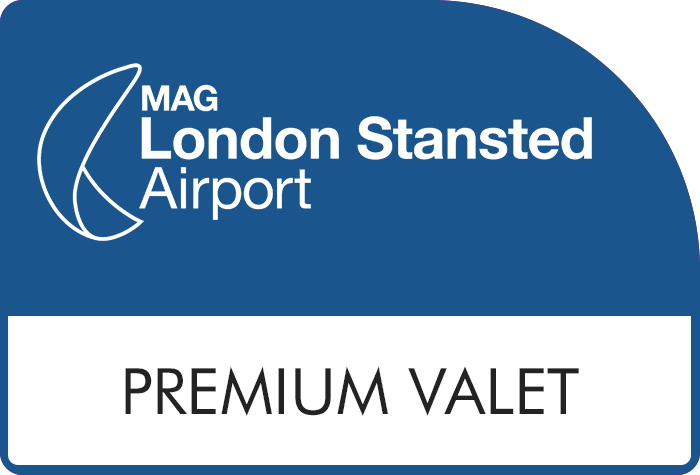 If getting to check-in involves a juggling act worthy of a magician, then let Stansted Valet Parking wave a wand and take the hassle away. 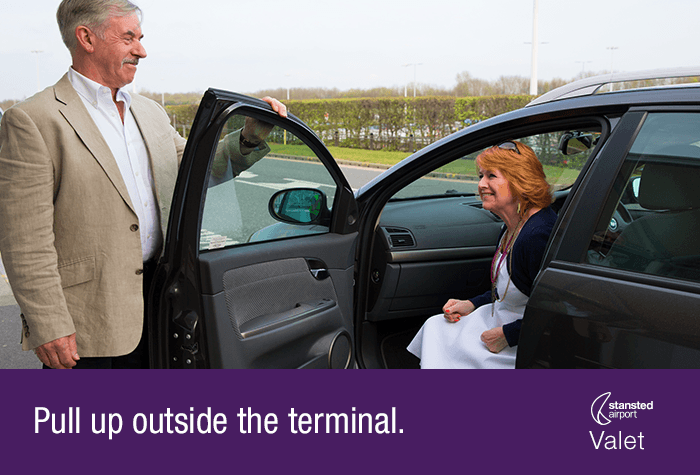 Your chauffeur will meet you at the terminal, take your car and park it in a secured car park for you. When you come back, it'll be waiting for you in the short stay car park right outside. But it's not a magic trick - and that great price definitely isn't an illusion. Book your Stansted airport parking with us and we'll remove all the hassle before you even leave for the airport. If you thought this product couldn't get any better, think again! 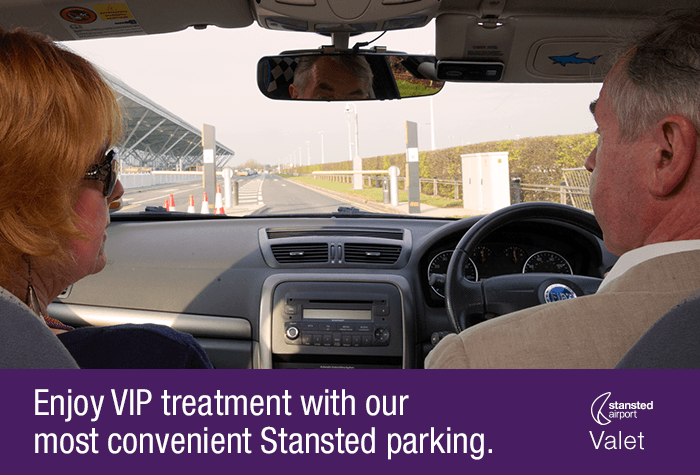 The Stansted Official Valet parking comes with Fast Track security passes, so once you have checked-in, you and your fellow travellers will breeze through security like VIP's. Everything was faultless and I was delighted with the service provided. I will definitely use again. It is a real luxury to hand over and collect the car right outside Stansted airport. Nothing could be easier. Our customers rated Valet Parking on average 9/10 (856 reviews). Read Valet Parking reviews. Get your holiday off to a smooth start with Valet parking. 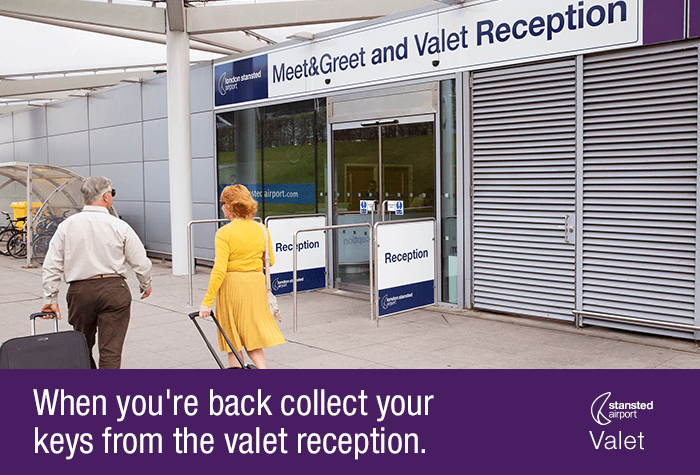 Drop your car outside the terminal and head straight to check-in while a Valet driver does the parking for you. Imagine pulling up in front of the terminal doors, handing over your keys and heading straight to the check-in desk. That's the easiest way to do airport parking - so easy that you won't even do the parking yourself. In fact, with Valet parking a chauffeur will take care of your car while you focus on getting into that holiday mood. The closest you can park to the terminal without parking in it. Valet parking offers the speediest start to your holiday. Drop your car on the terminal forecourt, then it's just a couple of seconds' stroll to check-in. It's the height of airport parking; you won't find an easier, more convenient or more glamorous option. 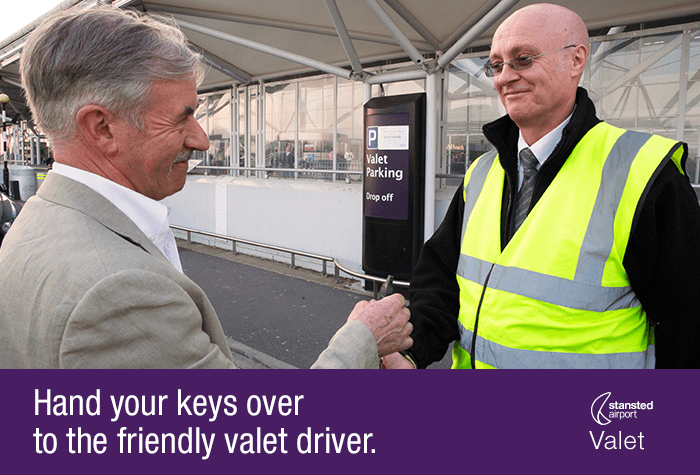 A chauffeur will take care of the hard work for you, so your holiday begins as soon as you've handed over your keys. Official Valet drivers are all fully-insured and qualified, and ready to give you and your car some well-earned VIP treatment. 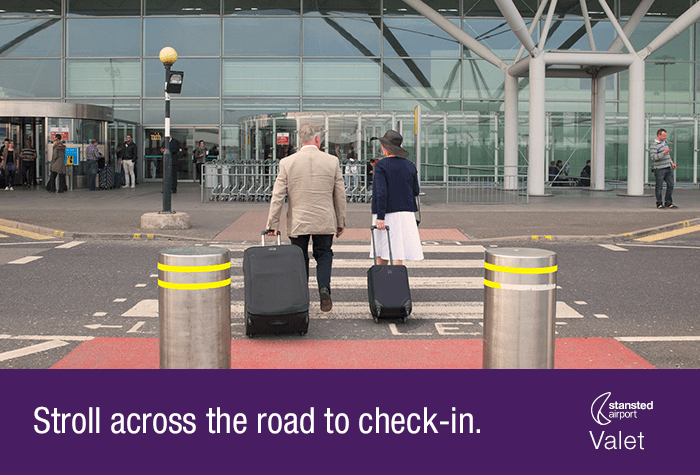 While you're checking in for your flight, a chauffeur will take your car to an Official Stansted airport car park. It'll have award-winning security including CCTV, 24-hour patrols by security staff and police, barriers and floodlighting. It's also ideal for disabled customers as you won't need to struggle onto transfer buses with your luggage. Just head straight through the terminal. When you're back, there's no searching for your car. It'll be waiting for you in the Short Stay, our closest car park to the terminal. So within minutes of touching down, you'll be on your way home. 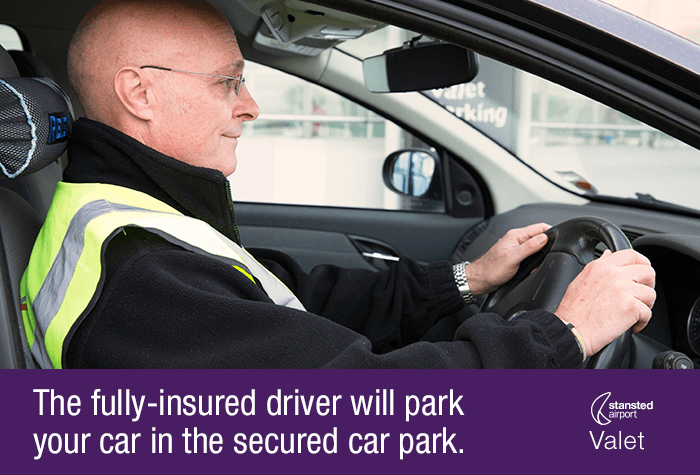 The car park can't take large vehicles, such as vans, minibuses, buses and lorries, vehicles which are more than five metres long, vehicles with trailers, motorcycles or any vehicle that cannot be driven on a standard car driving licence. Valet parking is available 24 hours a day, but should be booked at least two days in advance. If you stay for more days than you booked, you will be charged for the extra days at the car park's standard daily rate. If you stay for fewer days than you booked, you will not be given a refund. Airport trolleys are parked in the walkway just outside the airport if you need one. Dont forget, youll need a £1 coin! You won't need to take a transfer because you'll be parking on the terminal forecourt. It's just a short stroll to check-in. When you're back, it's a two-minute walk to the Short Stay car park where your car will be waiting for you.